We are pleased to announce our first cookbook collaboration with the washington capitals, monumental sports & entertainment foundation, and dc central kitchen. 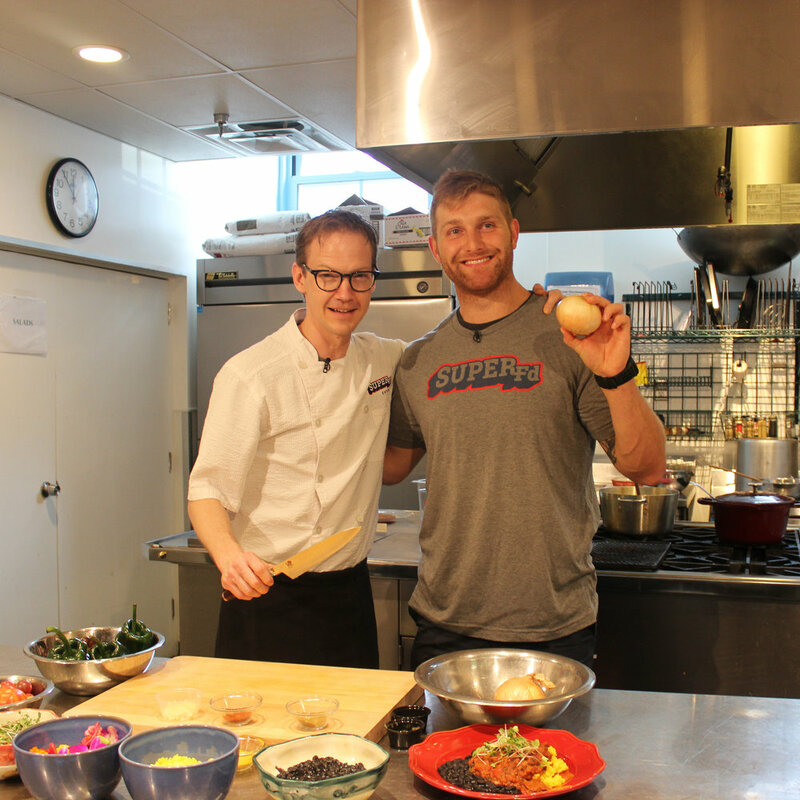 Cooking with the Caps, a Washington Capitals Cookbook presented by SuperFd Catering, will be available for purchase beginning Saturday, March 4. One hundred percent of the proceeds benefit DC Central Kitchen. the cookbook features recipes from the players, coaches, and staff. 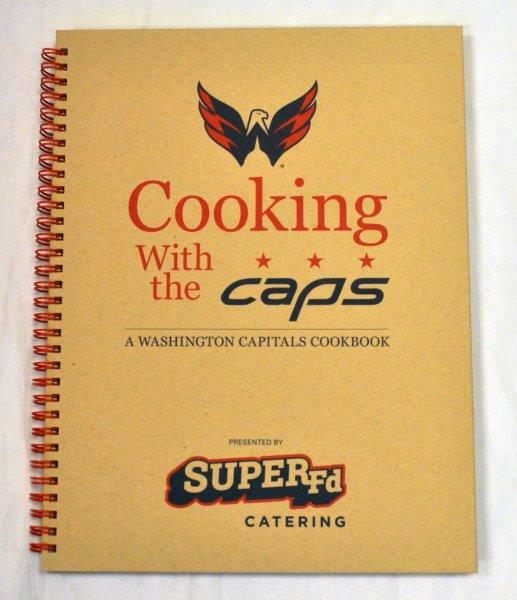 also included are recipes from superfd, the official caterers of the washington capitals, tips from the capitals' strength and conditioning coach mark nemish, nutritionist sue saunders, and team mascot slapshot. the cookbook will be available for sale at the verizon center team store and at the mse foundation table during home games until supplies last. Cooking with the Caps will also be available at the kettler capitals iceplex team store. if you are looking to purchase the cookbook online, please visit WashCaps.com/cookbook. In conjunction with the book’s publication, we've selected four recipes from Cooking with the Caps for the “Cook the Book" challenge. Beginning Monday, March 6, one recipe will be announced each week on our social media accounts for fans to recreate. we ask that the Fans upload a photo of their dish to Instagram, facebook or Twitter and tag it using the #CapsCookbook hashtag. The winning photo will be shared across our social media platforms along with the next recipe for the challenge the following Monday. The winner will have the chance to redeem their current cookbook for an autographed copy by a Caps player. Prizes can be redeemed at the SuperFd Cafe at Kettler Iceplex. we'll post the recipes to our blog, the chopping block. check out the great work happening with our friends at mse foundation by visiting MonumentalFoundation.org. to learn more about the amazing work of dc central kitchen, please visit dccentralkitchen.org.